Ben Foster is Not & Never was Involved with Ridley Scott's 'PROMETHEUS'! 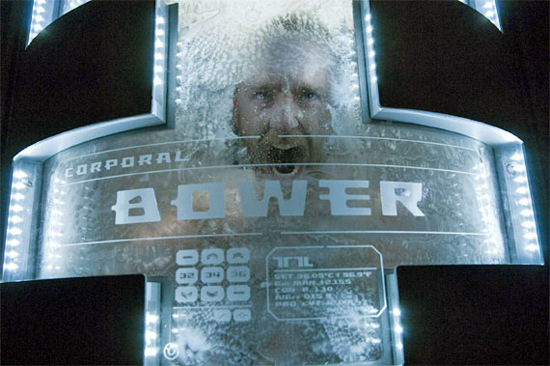 The rumor ran riot back in early July, that Ben Foster [Pandorum] had joined the cast of Ridley Scott's Prometheus. Rumor quickly spread across the internet & somehow became fact with JoBlo 'confirming' the story, even /Film so eloquently stated "He [Foster] is perennially reliable, and could bring some really dark, focused energy to the film." There was never any official statement confirming or denying Foster's involvement until today. Chris over at AlienPrequelNews got in touch with the actor's manager to clarify the situation who stated: "I don't know how that rumor started... He's never been involved with Prometheus." I for one am quite sad, he was damn good in Pandorum, overall he is just a damn good actor. Prometheus does star Noomi Rapace, Charlize Theron, Idris Elba, Logan Marshall-Green & Michael Fassbender with Guy Pearce appearing. I'm reading: Ben Foster is Not & Never was Involved with Ridley Scott's 'PROMETHEUS'!Tweet this!